I have never (ever) been so happy that I didn’t have all of the required ingredients for a recipe as I am right now. 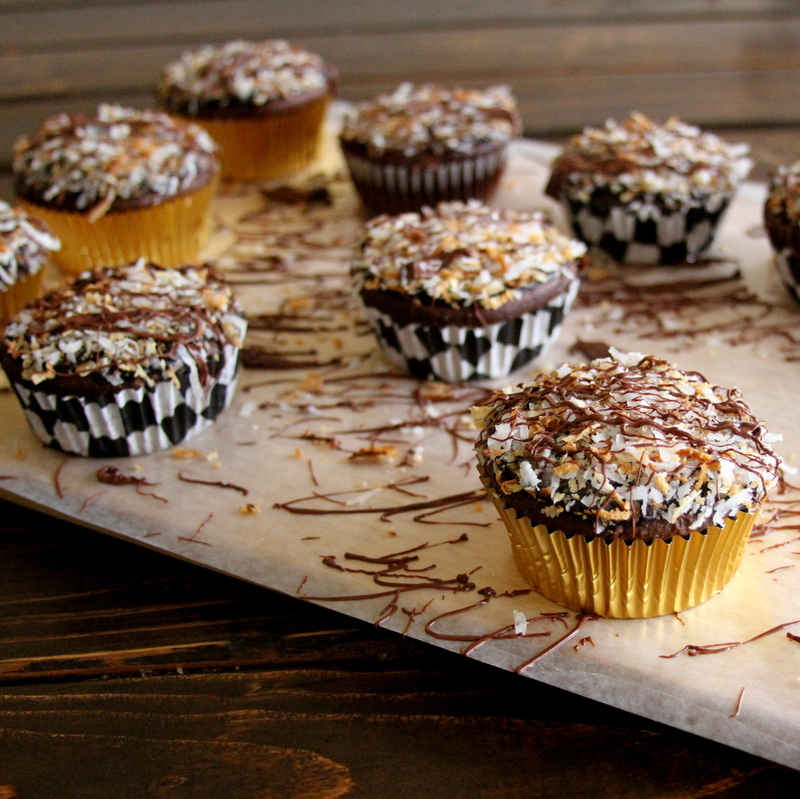 Because my pantry’s lack of a box of chocolate pudding turned into these coconut chocolate cupcakes that are pretty much our family’s favorite dessert ever. 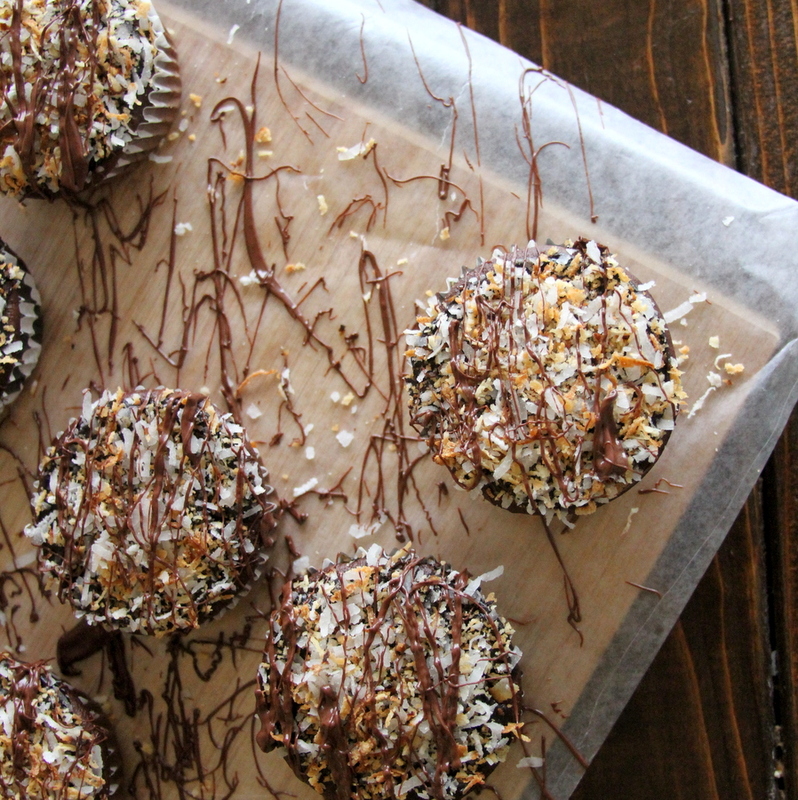 I mean- almond joy cupcakes. Chocolate frosting. Toasted coconut. Dark chocolate drizzle. Does life get better than that? I think not. Back to my accidental discovery. I was making cupcakes, the kind where you add a box of pudding mix to the boxed cake mix (I know, fancy right?). A quick search of my pantry yielded zero boxes of chocolate pudding mix but one box of Almond Joy pudding mix. Fate? I think yes. Combine all ingredients with a stand mixer. Portion scoops of batter into a lined cupcake pan. Bake at 350 for 15-18 minutes (when a toothpick stuck in the middle comes out dry). 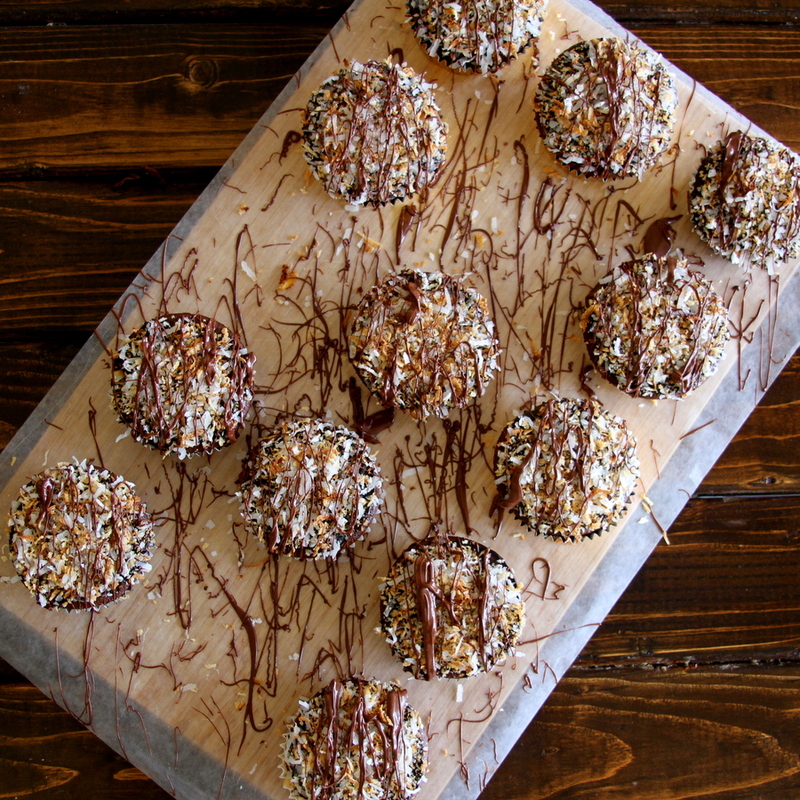 Ice with chocolate frosting, dip in toasted coconut, and drizzle melted chocolate chips on top. Share with everyone you know (or just your son’s 1st grade class). Because, amazing. thank you, thank you, THANK YOU for posting this! 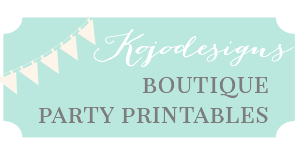 I was dying when I saw them, and am trying them…THIS WEEKEND!! Can’t wait! Big hugs to everyone there…miss you and love you! 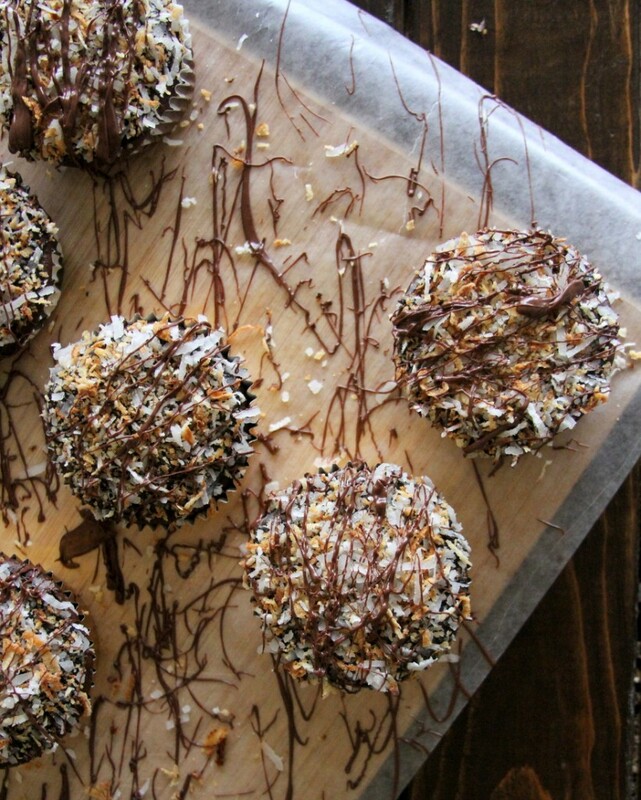 Chrissy- you know how I feel about this- chocolate + coconut = heaven. Love you! Almond joy pudding mix? Seriously?! Must find immediately.